You are cordially invited to the view Daniel Horowitz’s installation, in the framework of the exhibition, Cabinet, at Galerie Da-End, which combines contemporary painting with pre-Columbian sculpture and serves as a microcosm of the greater Totem sans Taboo project currently in development in residence at the Cité Internationale des Arts. 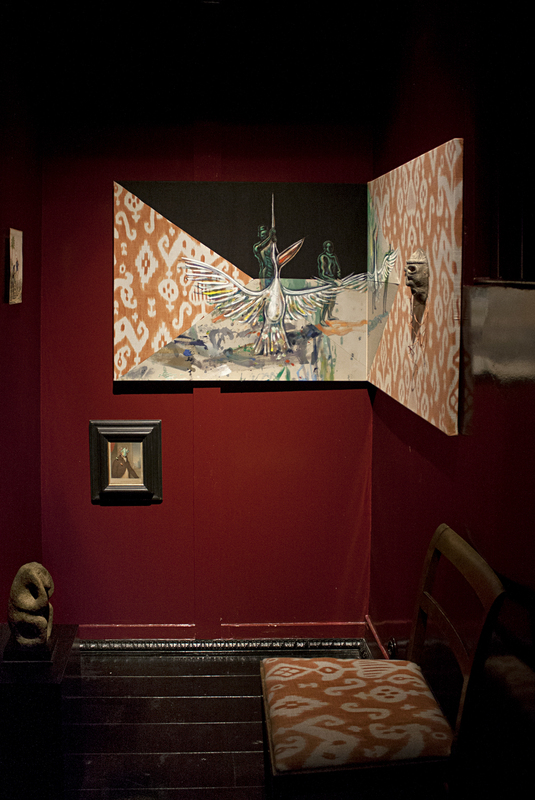 This installation is the result of a collaboration with eminent tribal art expert and collector, Alexandre Bernand, and represents an ongoing investigation of the iconographic and photographic archives at the Musée du Quai Branly. The pairing and confluence of seemingly disparate objects and images across an expanse of time and space, is at the heart of this as- sociative approach, and can be interpreted as the vestige of a forgotten expedition into the collective unconscious.